Here is a picture of my friend Carl. 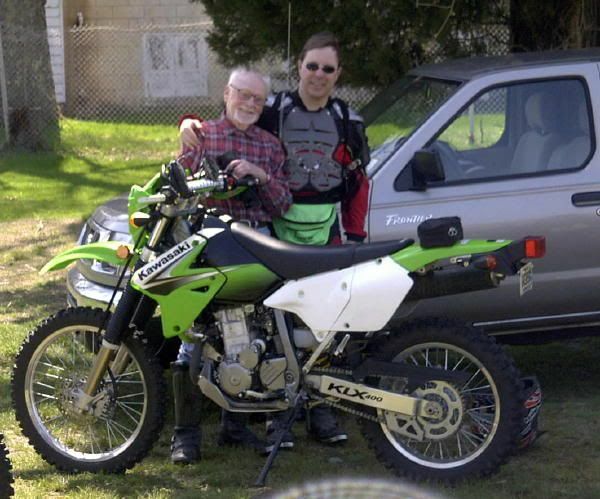 On this day, he was 81 and rode dual sport bikes with us in the state forest. I watched him crash and had to help him pick-up his bike. He was fine. Riding over 26 years. 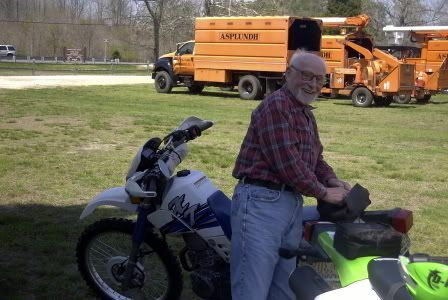 Keep telling friends I'm gettin' too old for this but just got my FZ in June . Guess I'm good for another 10-12 years. 32,been riding for 10 years,First FZ6,really impressed!! I'm 40 and am going to ride until I just can't anymore. 20 here and also hope to be riding for decades to come.